This 1d. 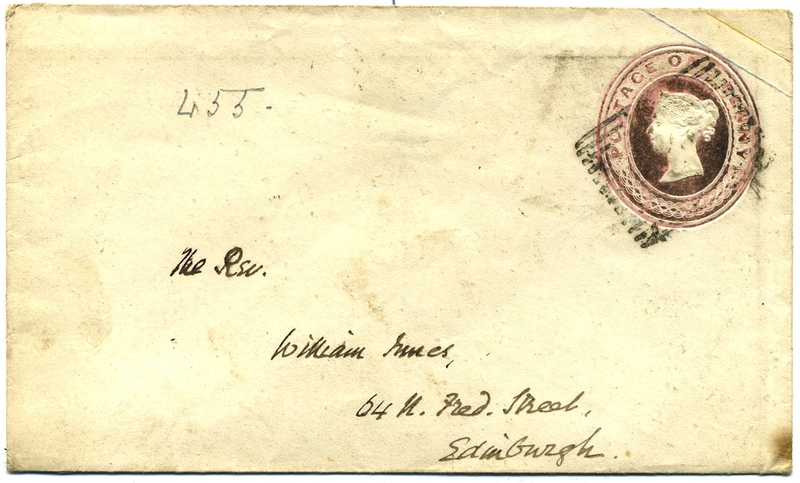 Pink postal stationery item was posted in Scotland but the numeral in the barred rectangular postmark is unclear, so the actual post town is unknown, but most probably Edinburgh. Addressed to the Reverend William Isaacs, 64 North Frederick Street, which has since been renamed Queen St Gardens West, Edinburgh. 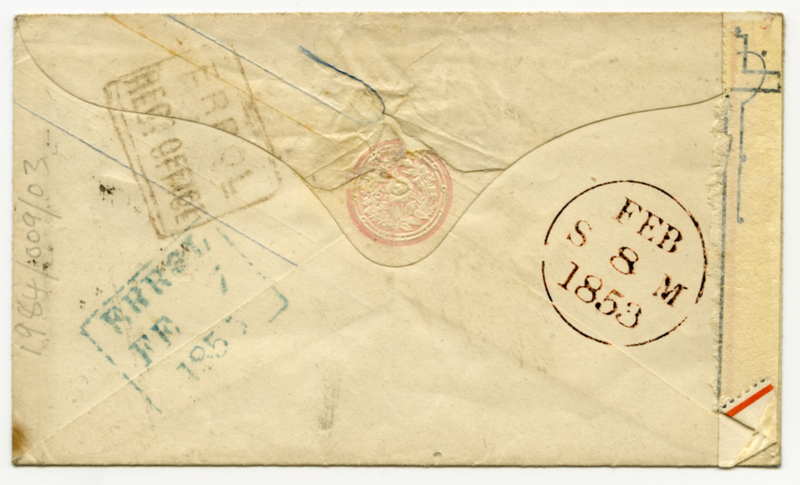 There are no postal markings to indicate the date of posting of this item.